Top 5 Game Capture Cards in 2018 - Quick Review - Join The YouTube Gaming Club! You'll Be Admired. The Perfect Extra Gadget with a PlayStation, X-Box 360 or X-Box One. You'll love it! When you do what you love success comes easily and you feel amazing. It's your time to be creative. 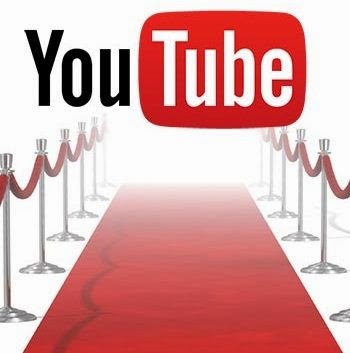 Before you buy your card and become popular on YouTube read the reviews on Amazon so you know it's right for you. Today, the spirit of capturing the high score is still alive and well, but the technology has changed considerably. 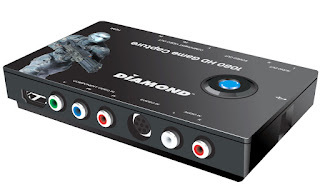 Instead of playing back the results on the VCR, you can instead use a game capture card and upload the results instantly to Twitch or YouTube. There are certainly many video capture card products on the market today. However, before you take the plunge to buy one it is generally best if you learn more about what you want from the capture card itself. Although there are many similarities when it comes to the features that they offer, there are some important differences as well. Are You Operating on Windows or Mac? Do you Need to Record Game Chat? All of these questions and more will need to be answered before you make the investment into a capture card. However, the good news is that once you get the card, installation is fairly simple and straightforward so that you can get right to work. There are certainly a number of great game capture card products out there, but here are the best five that you should look into if you wanna buy one for your gameplay videos. Certainly one of the more celebrated models, this one is very easy to use, yet offers a powerful 1080p HD video experience. Arguably the best aspect of this capture card product is that it is very simple and straightforward in nature. HDMI and USB cables are included which makes this the perfect device to capture your exploits on Playstation 3 or Xbox 360. The Elgato offers a maximum video bit rate of 30 MBpS in the MP4 mode as well. This video capture card works with both Windows or Macs and it is small enough to easily carry around with you if your adventures take you to a friend’s house to play some video game. You can even stream the game play if you so desire and send it to YouTube or Twitch and have your own commentary track to highlight your exploits. The software is simple to use and the Flashback Recording feature allows you to rewind the game play up to an hour and record even when you forgot to press the red button. It also has beautiful software. It does amazing things and makes your videos look great. You don't have to put a lot of effort. Everything tends to just work with it. You don't need to have a power supply. It's very portable but you do need to hook it up to your computer. So it's only downside is that you can't records to and SD card or an USB disk. Let's say you're recording a game and then you stop recording and then you do something really cool, right? Right after you stop recording and you missed it. Well with this card you don't really miss anything. You can actually go back in time if you didn't have the recording setting on and recapture those frames. There's also a lot of other great features built in the software such as the volume control. When you actually record audio over your recording it will fade your voice audio in and out just like EzVid does to make a really good quality audio recording. None of the other cards in this list have these features and we think they're important enough to make this the best card. The Plus models are the ones that work best for Mac users as it is very compatible as compared to the non-Plus version which does require an extra $30 software download. The ability to record in 5.1 channel audio is certainly nice and it delivers an all-around solid video experience to capture your game. It is important to note that for Mac users, the PVR 2 can only capture while Windows users can enjoy the streaming, editing and publishing features that really make this model stand out. You can even record through your older composite console cables if you so desire. Rather expensive, but offering a great option for those who want to record without using a PC, the AVerMedia C875 offers the ability to record through an SD card. However, you can also go from USB to PC if you so desire. 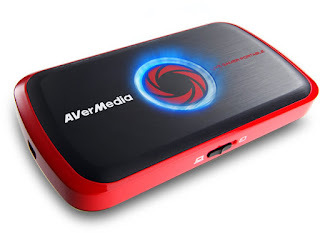 Arguably more versatile than the famed PVR Rocket, this particular capture card offers excellent streaming through Twitch or YouTube and has a very good capacity to work with virtually all types of consoles. The 3.5mm plug lets you record the audio and even create a separate file if you want as well. You will need a power supply and this version is a tad expensive, but it does allow you to record directly to the SD card that you will have to purchase and you’ll even receive a three month premium xSplit broadcaster subscription to boot. Here is a small, budget item for those who have portable game consoles and want to capture the action with high definition. This entry-level unit offers solid hardware and exceptional software for its overall size. The fact that it can record at 1080p is certainly very impressive and a feature that helps set it apart from much of the competition. However, it must be pointed out that this device does not work for Mac users at all. Plus, there are no HDMI cables included, so you’ll need to find one and the capture software is not very intuitive to use, but serviceable. Overall, the most attractive feature apart from not requiring a power supply is the very low price for the high quality images that you receive. 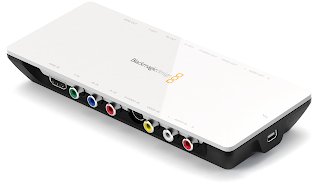 A high-end video capture card that offers plenty for the price, the Blackmagic Intensity is one that offers you a considerable number of features that are geared towards those who love to edit together their own video product. The Intensity Shuttle and Extreme features offer the ability to capture game footage at 1080p, SD, or 720 HD with a maximum video bit rate of 60mbps. Admittedly, the Shuttle is for Windows only and does require a USB 3.0, but the Intensity Extreme can work with both Windows and Mac. This is certainly one of the most impressive of all the video capture card products and is very easy and simple to use to boot. So there you have it! Now you have what it takes to become a gameplay youtuber. Overall, these are the five best game capture card products that you’ll find on the market today, particularly if you are looking to buy the one best in video image and with a wide range of features. Also keep in mind that cheap capture cards are usually to be found on Amazon - they consistently offer the lowest prices for all kind of electronics, including gameplay cards.